Conservation conflicts often involve tensions between human stakeholders. 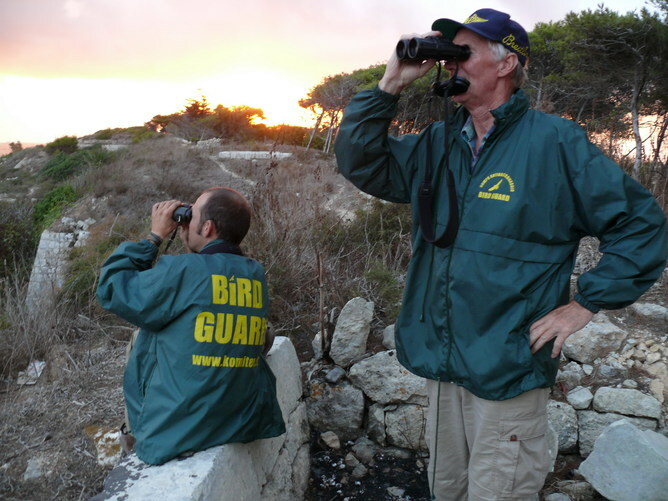 One highly topical conflict is that around migratory bird hunting in the Mediterranean, particularly in Malta. Here, tensions between hunters and anti-hunting groups have escalated to include rural surveillance operations by anti-hunting groups, physical scuffles with hunters, retaliatory poaching and measures unheard of in Europe, such as the use of drones or army interventions. In June 2014, Malta’s hunters petitioned Parliament to protect ‘minority’ rights against ‘vindictive’ ‘abrogative referendums’. This was the latest episode in their long struggle against Malta’s environmental non-governmental organizations (ENGOS), which have taken increasingly strong stands against hunting as a morally distasteful practice. Based on a collaborative project between Conservation Biology and Anthropology, this paper documents the escalation of tensions following the establishment of the ‘Coalition for the Abolition of Spring Hunting’ (CASH) in July 2013, an alliance of local ENGOs pushing for a referendum to make spring hunting illegal. This paper additionally revisits a body of literature on ‘factionalism’, which despite being downplayed in narratives of Anthropology’s development, is still useful in helping us understand the hostilities dominating Malta’s hunting arena and can initiate fruitful collaboration and dialogue between Anthropology and Conservation Biology. As the world’s tigers, elephants, rhinos and pangolins continue to be poached, smuggled and sold, wildlife conservationists have declared war on wildlife trafficking and illegal hunting. These “wildlife wars” have received wide media coverage and led to an exceptional increase in enforcement through, for example, the use of drones for surveillance. Military metaphors are powerful because they offer a way to explain abstract ideas about species conservation. Conservation is cast as a kind of war, something most people are more familiar with, if only through television. This comparison makes it easier to show how vital it is for donors and decision makers to support these issues. It is thus not surprising that military comparisons are now used not only to talk about topics such as wildlife poaching and invasive species, but also when discussing conservation in general.